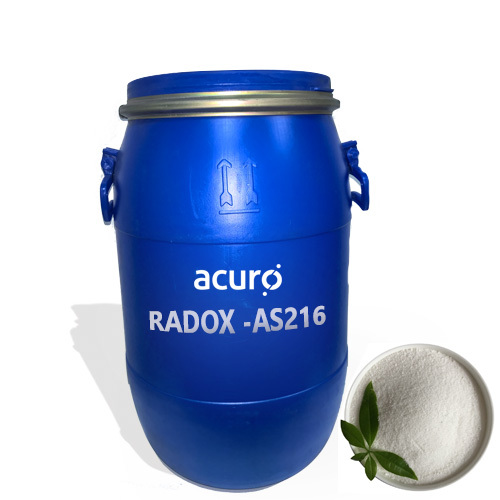 Radox AS216 is a high performance antiscalant powder, used as a pretreatment to inhibit inorganic salts, metal hydroxides, silica, and colloids in RO plants. It is formulated as a high-strength, surfactant-based powder-composition for on-site preparation with high silica inhibition properties. Its high performance activity offers complete control of system feed-water chemistry, reducing membrane fouling and minimizing frequent cleaning requirements. It is compatible for use in all membrane types and system components.